Cartridge reservoir in high density polyethylene with wiper plunger in a kit of 10 x TS25C cartridges and 10 x TS1WP plungers. 2.5 ounce/ 75cc ml size. Suitable for handling most materials including solvent based fluids. 1.69 Inch outer diameter by 4.00 Inch long. Disposable plastic cartridges are available in 2.5, 6, 8, 12, 20, 32 oz. (approximate metric value 75, 177, 237, 355, 591, 960cc) and 1/10th gallon capacities. 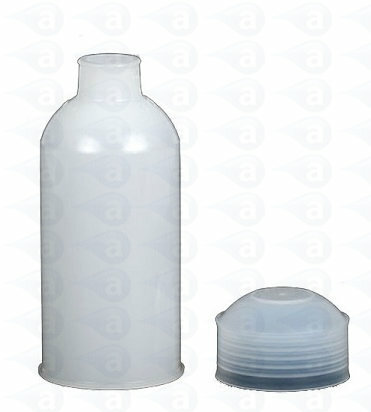 Manufactured in high-density natural polyethylene (HDPE). All sizes feature a 1/4 Inch NPT (6mm) female thread dispensing orifice for secure attachment of nozzles or 1/4 Inch threaded fittings. These items ship from our UK warehouse direct from stock - no delays. We stock manual and applicator guns for these cartridges. Summary: Natural HDPE 2.5 Ounce (75ml) size cartridge with wiper plunger kit. 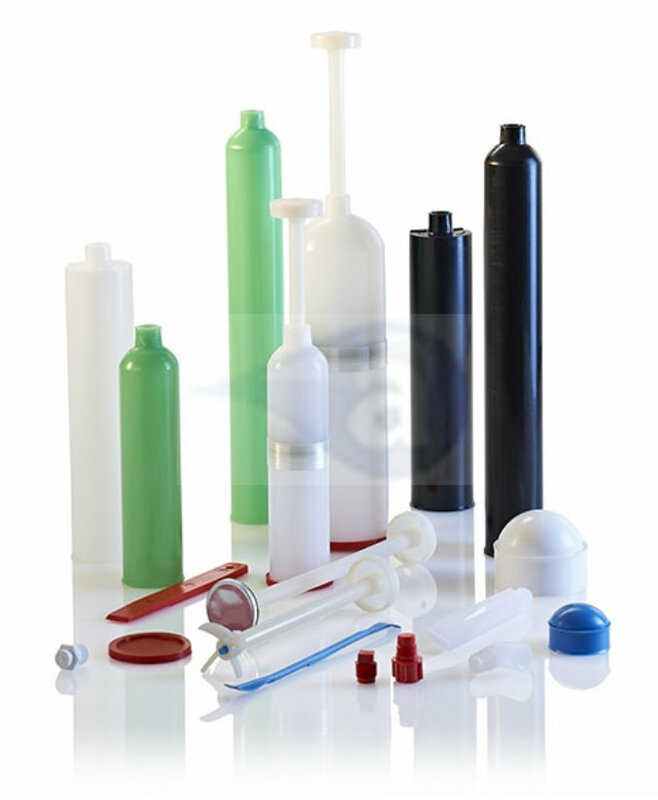 Typical Applications:- Cartridges are moulded in high density plastics and have much thicker walls than a standard silicone caulking tube. The internal bore has no taper and this ensures the plunger moves consistently down without restriction. All cartridges use a 1/4 Inch NPT internal thread for leak free nozzle attachment. Use with most liquids, pastes, epoxies, gels, solvents, adhesives, fluxes, lubricants, paints, inks, solder creams, braze pastes and many more assembly fluids.